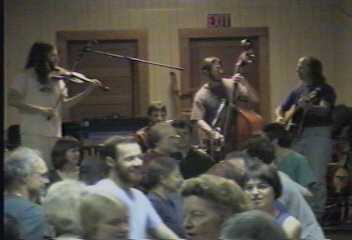 What is Contra Dance ? 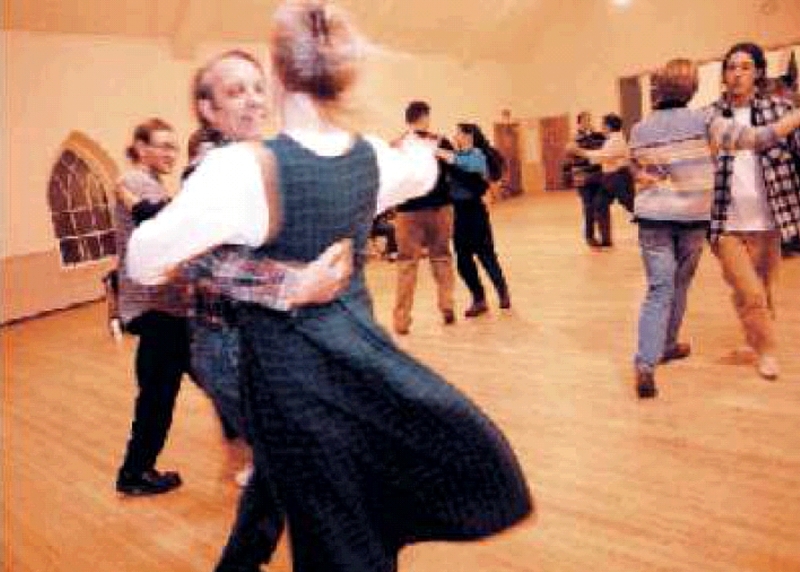 What is English Country Dancing ? Want to play a game of Checkers ?? 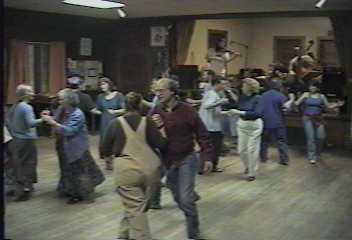 If you are, you'll have a wounderful time Country Dancing. 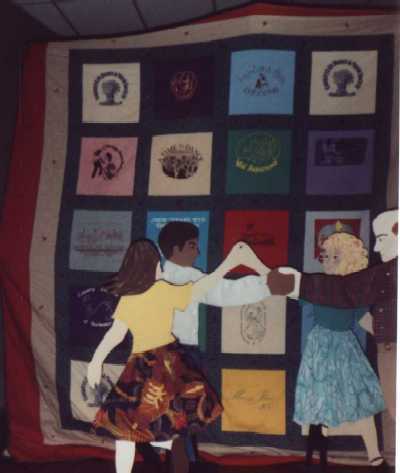 Here on the edge of New England, we dance mostly contradances which are longwise sets as well as some squares and couple dances. 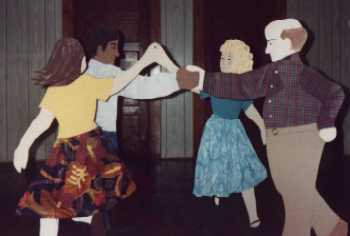 All dances are taught, with easy dances early in the evening and progressing to harder ones later. The easiest way to learn is by getting out there and dance. Watching won't help. Don't worry about mistakes; we all make them - - - frequently. Experienced dancers simply recover from their mistakes with more grace. 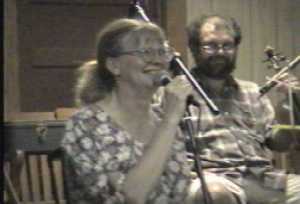 So relax, smile and enjoy the live music and just dance for the enjoyment of it. There is no need to skip, hop, or run. Just use an easy light walking gait. Most of the dance movements take 8 steps, a few 4 or 16 steps. The movements change when ever the music changes. Listen to the music and enjoy the dance. 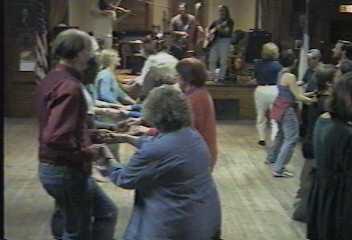 Before each dance session begins, the caller will walk you through the dance steps. 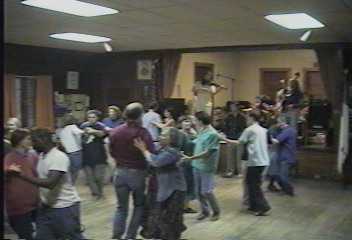 Then the caller will lead the dance through a few more repetitions with the music. You will soon be dancing on your own - - - moving in concert with the other dancers to fantastically stimulating live old time music. You'll find choral dancing is exhilarating ! Singles are always welcome. If you came as a couple, we encourage you to split up and ask others to dance. You will learn much faster. There are lots of experienced dancers eager to help. And you will meet people faster. 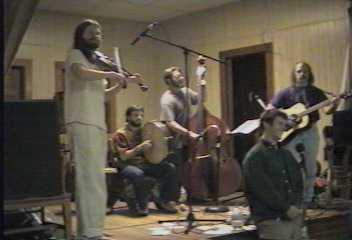 Warning : Country dancing is habit forming, but very good for your health! index.htm . . . .